I’ve recited the story dozen of times. I first got involved in genealogy in about 1999 when I discovered my Aunt Hazel’s notes. My aunt, Hazel Wheeler, never married and tried for years to get access to the DAR (Daughters of the American Revolution). When I found her notes, and not being familiar with the DAR or much about genealogy at the time, I attempted to submit an application on her behalf posthumously. While the DAR didn’t have a means to accept her application, it was the launch for me in genealogy. In 2005 I was accepted into SAR (Sons of the American Revolution) with the assistance of a cousin, Dr. Lauren Brown and then Fort Dearborn Chapter President, Bing Seibold III. Sadly, Bing Seibold passed away in December of 2014. Ever since that time, the Fort Dearborn chapter of the SAR has been working to fill the void. 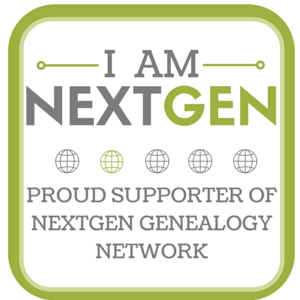 I volunteered to assist in February 2016 as genealogist and registrar. To help me become familiar with some of the processes, I used the opportunity to submit an application for a memorial membership for my father, William Stamford Wheeler. I am so excited to learn that the application was approved and happy to report that my father is now a member of the SAR. The certificate will be presented to me at the upcoming meeting in January 2017. I am also honored and humbled to accept the invitation from the Fort Dearborn Chapter to serve as Vice President. The picture above was taken of myself, President M. John Dyrud and Secretary, Doug Beardsley. We were sworn in at the December 2016 meeting at the Union League Club Chicago. You can read more about the Fort Dearborn Chapter at http://www.dearbornsar.org as well as on the Fort Dearborn Facebook page at http://www.facebook.com/dearbornsar.